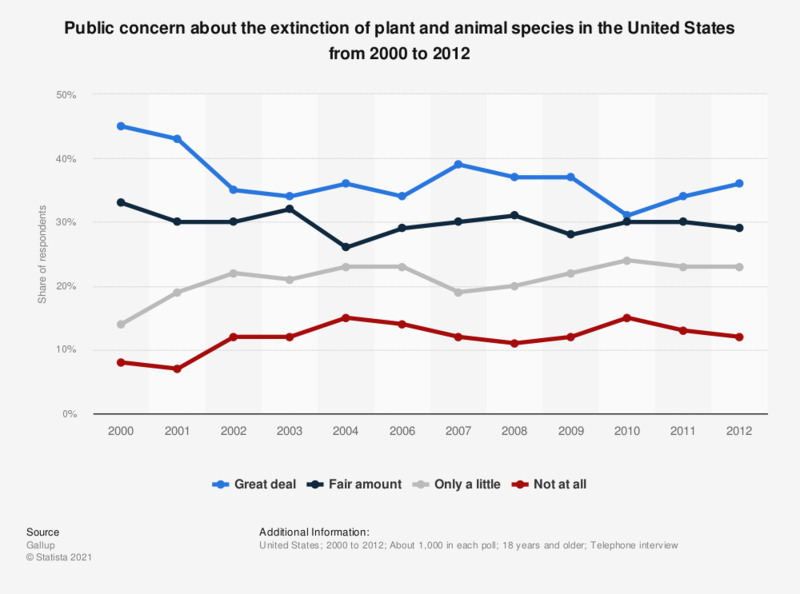 This survey shows the concerns of U.S. Americans about the environmental threat of plant and animal species' extinction from 2000 to 2012. In 2012, 36 percent of the respondents stated they were worried "a great deal" about the extinction of plant and animal species. During the survey, this question was posed as follows: "I'm going to read you a list of environmental problems. As I read each one, please tell me if you personally worry about this problem a great deal, a fair amount, only a little, or not at all. First, how much do you personally worry about the extinction of plant and animal species?" Missing percentage points to 100 percent are from respondents who stated they had no opinion. According to you, how alarming are the following issues related to loss and decline of biodiversity?